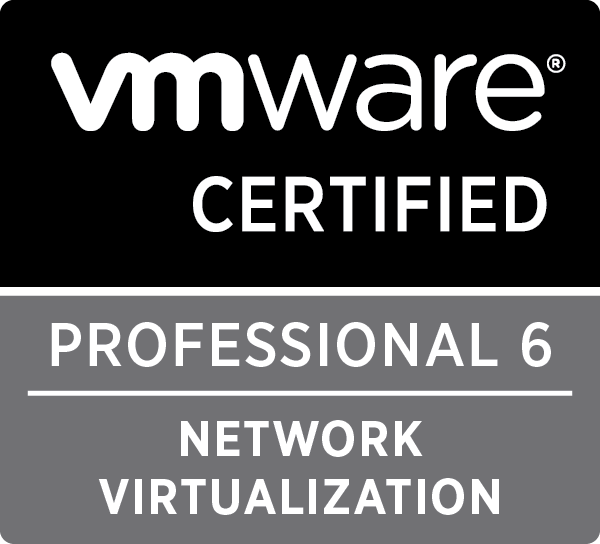 I was recently rolling out the base install of VMware NSX in my lab, where I ran in to a controller deployment issue. The lab is running NestedESXi, and I have two ‘sites’ that are nested, each with 3 ESXi hosts in a vSAN cluster. vCenter, PSC and NSX Manager / controllers are then deployed on to the nested ESXi hosts, so the storage is on the nested vSAN datastores. 2017-12-03 22:51:31.235 GMT ERROR taskScheduler-29 VCUtils:247 – Error while waiting for HttpNfcLease updates. 2017-12-03 22:51:32.170 GMT INFO DeploymentMonitor DeploymentMonitor:134 – Job jobdata-373 for controller controller-4 failed! Hmm. What stuck out to me here was (Cannot Create File). I decided to try the NSX controller deployment again, but this time instead of just letting DRS place the deployment, I selected a particular host to try the controller deployment to. This way I could also watch the hostd.log file of the ESXi host during the deployment to see if I could spot anything else. –> message = “Failed to create object. 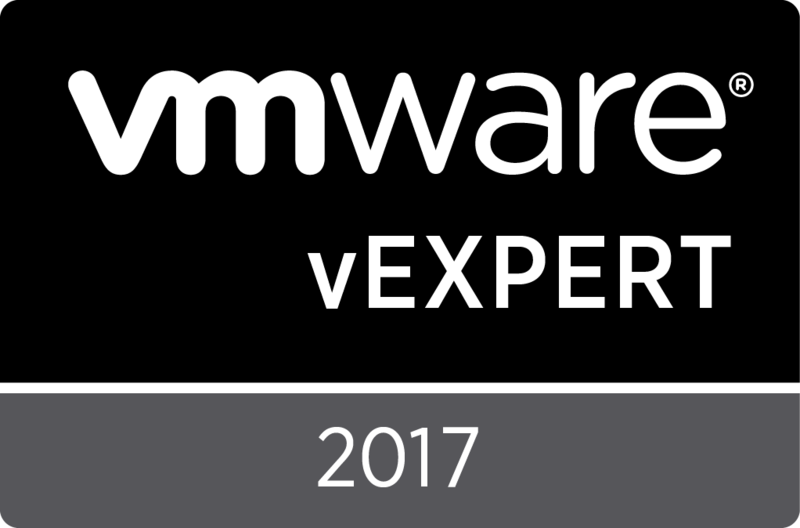 –> message = “Virtual SAN node SiteA-ESXi01.lab.virtualtassie.com maximum Memory congestion reached. I went and checked the health of vSAN on this nested cluster, and sure enough it was not in a healthy state! 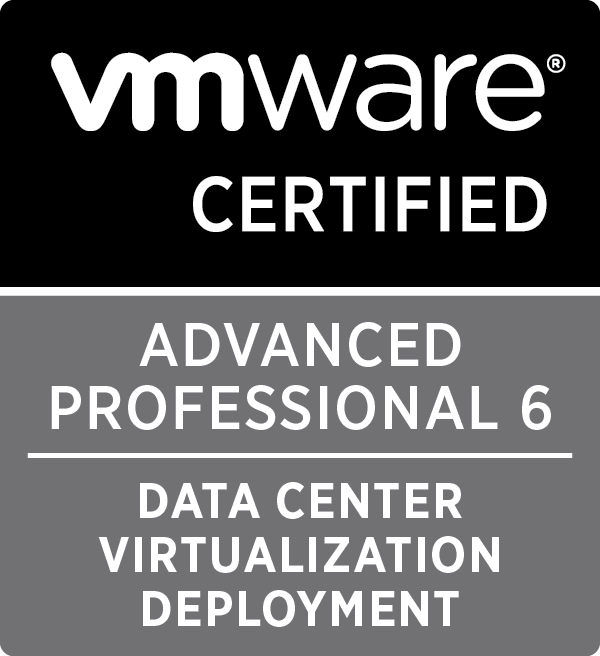 I fixed the underlying issues with vSAN and then tried the NSX controller deployment again, and it worked perfectly. So the cause of the issue was nothing related to NSX itself, as any machine deployment was going to fail with the same issue. the lesson here being to ensure the underlying platform is always healthy before deployment! 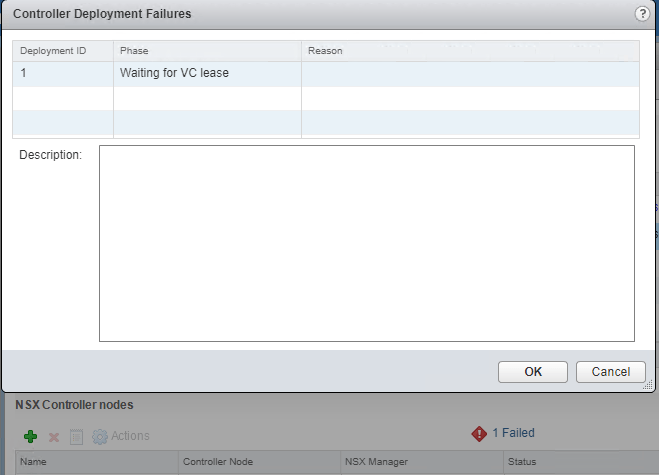 With that said, I think the failure messages in the NSX GUI could be much more descriptive to help troubleshoot issues like this faster, but I suspect the current development focus of a product like NSX is on product fixes and enhancements. I wanted to show my process of troubleshooting to narrow down on what “Waiting for VC lease” actually meant, and hell, maybe it will help someone else in the future who is just getting started with NSX like I am. You can SSH in to the NSX Manager machine and then use variants of the “Show log” command. For example, you can use “show log Manager Follow” to get a continuous view of the NSX Manager Log. Run “Show log ” and then type a ? to see more options.